As valuable as the knowledge The Resolectrics' Tate Peterson gained while studying music at the University of Oregon, it was friendships and important connections that gave him a head start in establishing himself in Portland's fertile roots-music scene. "I was really lucky to move to Portland after several friends had lived here awhile," he says. "A good friend used to be in (Portland funk-rock band) the Quick & Easy Boys. One of their previous drummers, Mike Goetz, the first week of me moving here, said 'Come out with me and see Lewi Longmire, my favorite band at the Laurelthirst (Public House in Northeast Portland).' It was a total scene — packed to the gills with hippies. It was my kind of scene." There, the guitarist, singer and songwriter met Longmire and others with similar musical interests. Connecting with Nathaniel Talbot, Peterson joined his band The Physical Hearts, which scored a gig playing at Mississippi Studios in North Portland. Not a bad trajectory for a newbie. "I kinda got lucky," says Peterson, 36. "It was more of a fast track than a lot of people get. I made a lot of connections before I moved here." 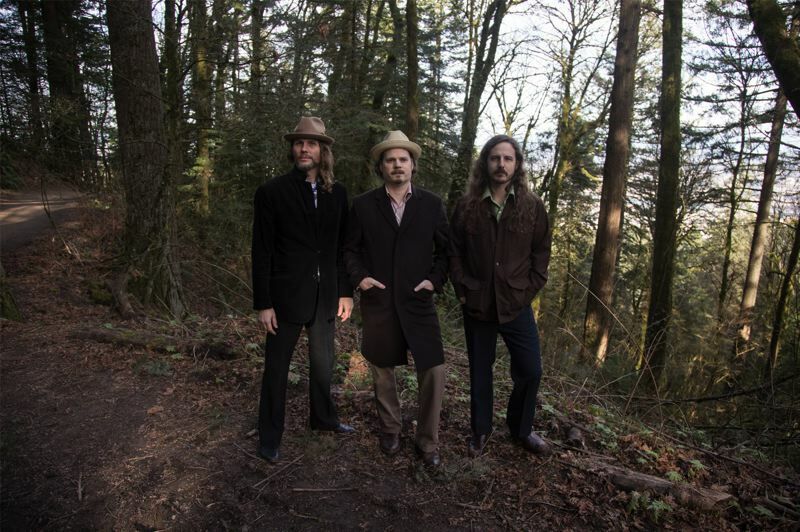 Those connections led to him forming The Resolectrics, who will perform 7-9 p.m. on Friday, Jan. 11, at the McMenamins Edgefield Winery Tasting Room in Troutdale. The Peterson-fronted band, rounded out by John Becher on drums/vocals and Bob Dunham on bass, will showcase songs from their two albums, "High Water" and "Open Seas," which was released in late 2018. The Resolectrics play the cozy Edgefield venue the second Friday of every month. After three years in that slot, Peterson, who grew up near Berkeley, Calif., and moved to Eugene to study at the U of O in 2000, feels the band has refined how it interacts with the cellar-like room and fluctuating crowds. "It took us a lot of getting used to," he says of the relatively tight quarters and audience mix of locals and tourists. "We had to learn to quiet ourselves down a bit. Lately, though we've been ramping it up a bit … We have a good time there." 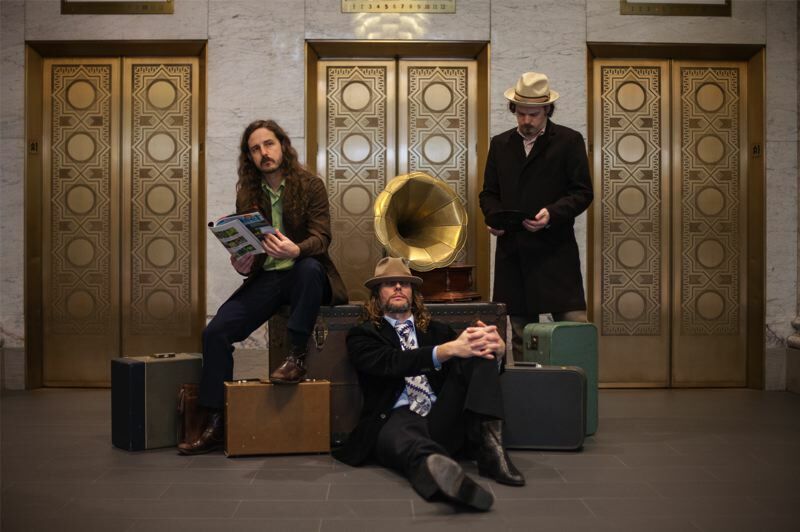 The trio delivers a tight and driving but open-hearted style of country-inflected roots rock, mixing covers of Peterson's musical heroes like The Band, the Grateful Dead and John Prine with originals that manage to fit seamlessly alongside such illustrious company. "The Resolectrics was an intentional attempt to narrow the field a bit," he admits. "I wanted this to be sort of a throwback of classic rock from the '70s and '60s … classic R&B, soul, drawing inspiration from The Band, Booker T. and Dr. John." Seeing younger bands like The Black Keys and Sharon Jones and Dap-Kings create fresh sounds from tried-and-true elements further fueled his mission. "They were bringing back that old sound," he says. "I wanted to hop on that roots music train while mining something new." Peterson, who's looking forward to taking the band to venues around the Pacific Northwest this summer, admits his musical tastes are broader than what might be immediately evident from a Resolectrics show. "I went to college to study music," he says, emphasizing its significant role in his life. "As long as it's got something I can hold onto, something that moves me, I don't care what style it is. Music is a discovery. It's a huge world to explore."